Cliquez ici pour voir ce communiqué de presse en français. “STELARA® has been used successfully to treat patients with psoriasis and psoriatic arthritis for years. 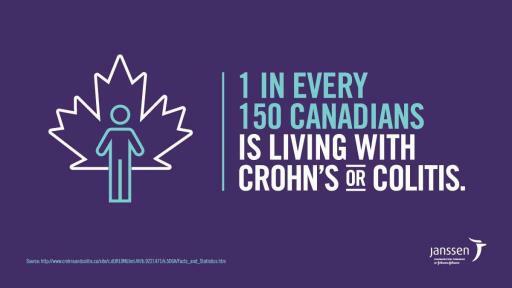 It’s a welcome new treatment for Canadians with Crohn’s disease,” said Dr. Brian G. Feagan*, M.D., Senior Scientific Officer, Robarts Clinical Trials Inc., Western University, London, Ontario, and UNITI study investigator. For more information, visit www.janssen.com/canada or the STELARA® Product Monograph. At the Janssen Pharmaceutical Companies of Johnson & Johnson, we are working to create a world without disease. Transforming lives by finding new and better ways to prevent, intercept, treat and cure disease inspires us. We bring together the best minds and pursue the most promising science. We are Janssen. We collaborate with the world for the health of everyone in it. Learn more at http://www.janssen.com/canada/. Follow us on Twitter @JanssenCanada. *Dr. Feagan was not compensated for any media work. He has been a paid consultant to Janssen Inc.
1 Rocchi A, Benchimol EI, Bernstein CN, et al. 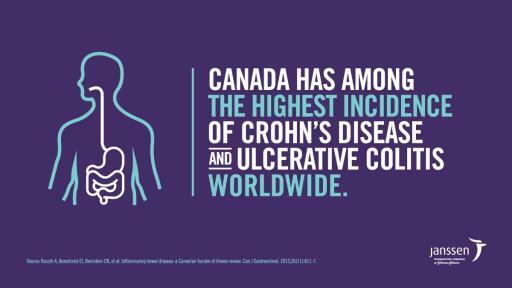 Inflammatory bowel disease: a Canadian burden of illness review. Can J Gastroenterol. 2012;26(11):811-7. 4 Rocchi A, Benchimol EI, Bernstein CN, et al. Inflammatory bowel disease: a Canadian burden of illness review. Can J Gastroenterol. 2012;26(11):811-7. 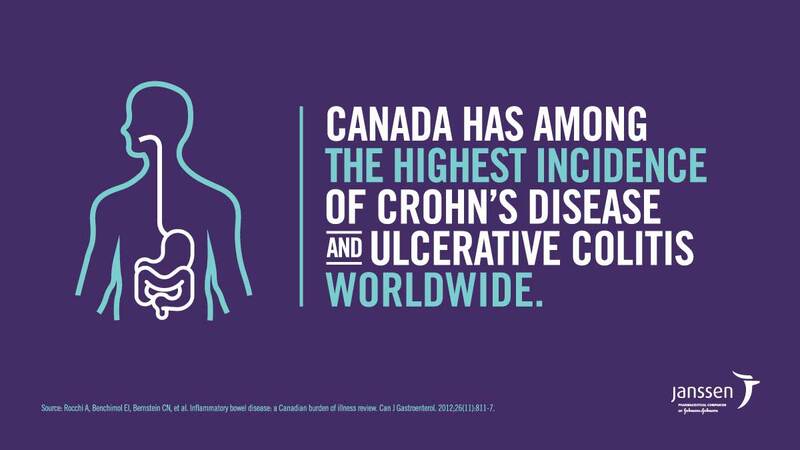 5 Crohn’s and Colitis Canada. 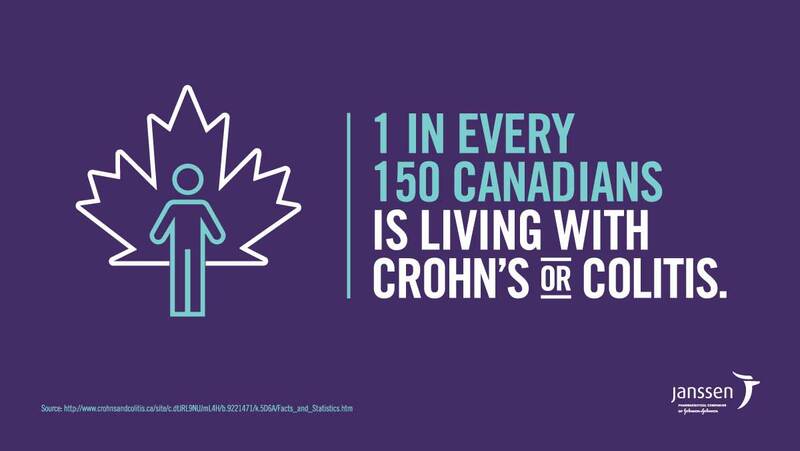 http://www.crohnsandcolitis.ca/site/c.dtJRL9NUJmL4H/b.9221471/k.5D6A/Facts_and_Statistics.htm. Accessed November 22, 2016. 6 Feagan, B.G. et al. Ustekinumab as Induction and Maintenance Therapy for Crohn’s Disease. New England Journal of Medicine. 2016;375:1946-60. 7 Feagan, B.G. et al. Ustekinumab as Induction and Maintenance Therapy for Crohn’s Disease. New England Journal of Medicine. 2016;375:1946-60. 8 Feagan, B.G. et al. Ustekinumab as Induction and Maintenance Therapy for Crohn’s Disease. New England Journal of Medicine. 2016;375:1946-60. 9 Feagan, B.G. et al. Ustekinumab as Induction and Maintenance Therapy for Crohn’s Disease. New England Journal of Medicine. 2016;375:1946-60. 10 Rocchi A, Benchimol EI, Bernstein CN, et al. Inflammatory bowel disease: a Canadian burden of illness review. Can J Gastroenterol. 2012;26(11):811-7. 11 Rocchi A, Benchimol EI, Bernstein CN, et al. Inflammatory bowel disease: a Canadian burden of illness review. Can J Gastroenterol. 2012;26(11):811-7. 12 Rocchi A, Benchimol EI, Bernstein CN, et al. Inflammatory bowel disease: a Canadian burden of illness review. Can J Gastroenterol. 2012;26(11):811-7. This press release contains “forward-looking statements” as defined in the Private Securities Litigation Reform Act of 1995 regarding the benefits and availability of STELARA®. The reader is cautioned not to rely on these forward-looking statements. These statements are based on current expectations of future events. If underlying assumptions prove inaccurate or known or unknown risks or uncertainties materialize, actual results could vary materially from the expectations and projections of Janssen Inc. and/or Johnson & Johnson. Risks and uncertainties include, but are not limited to: uncertainty of commercial success; manufacturing difficulties and delays; competition, including technological advances, new products and patents attained by competitors; challenges to patents; product efficacy or safety concerns resulting in product recalls or regulatory action; changes in behavior and spending patterns or financial distress of purchasers of health care products and services; changes to applicable laws and regulations, including global health care reforms; and trends toward health care cost containment. A further list and descriptions of these risks, uncertainties and other factors can be found in Johnson & Johnson's Annual Report on Form 10-K for the fiscal year ended January 3, 2016, including in Exhibit 99 thereto, and the company's subsequent filings with the Securities and Exchange Commission. Copies of these filings are available online at www.sec.gov, www.jnj.com or on request from Johnson & Johnson. None of the Janssen Pharmaceutical Companies or Johnson & Johnson undertakes to update any forward-looking statement as a result of new information or future events or developments.